Dental emergencies are unavoidable; thus, an emergency dentist in Merrick will surely save you from panic when emergency arises. Emergency dentist in Merrick responds to any dental emergencies which any person can encounter any time. Dental emergencies refer to any issues on your oral health specially the teeth and gums that should be immediately attended by a qualified professional. They may involve pain coming from the tooth and such pain is also cause by several factors. The types of dental emergencies which will push you to call an emergency dentist in Merrick include relief for pain, tooth extraction, broken teeth, crown re-cementing, trauma, and swollen jaw, repair of denture and giving of prescriptions. A lot of dental emergencies can supposedly be prevented and avoided when you have routine and regular check-ups with your dentist who will make sure that your teeth and gums are healthy and that dental fillings, crowns and other dental works are in good condition. If you actively engage in sports, chipping, knocked out or broken teeth due to injuries can confront you anytime. However, make sure to wear a mouth guard and any dental injury can be avoided. Avoid chewing hard foods which can lead to tooth fracture or breakage. Chewing gums should be avoided as well since. 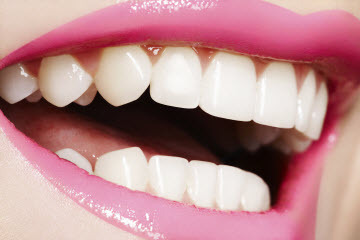 Once you have eaten too much sweet, gargle or brush the teeth to avoid bacterial build-up. If you will be travelling to far places for work or vacation, have your dentist check your teeth so you can avoid pain due to tooth decay and other causes. Be always reminded of these things so as to avoid calling for emergency dentist in Merrick. Before Calling for Emergency Dentist Merrick, What Should Be Done? Since emergency can happen even if you have already taken actions to avoid it, avoiding panic and making preparation can help a lot. At home specially if you have kids; when you are going for a vacation, camping and other outdoor activities, having with you a pack of dental first aid kit is necessary. This can help you while you wait for the emergency dentist in Merrick to respond to your call. Make sure to have acetaminophen, gauze and handkerchief which you can use when there is bleeding and the medicine as pain reliever. Pain relievers should not be ibuprofen since this may cause thinning of the lining and may trigger excessive bleeding. Of course, you should have on your emergency numbers calling list the emergency dentist whom you will call. But only keep a number of a dental clinic that surely caters emergency calls and provides emergency dental care for they are really open 24/7. When you call the emergency dentist due to unbearable pain, the dentist will immediately check on the cause of the pain and treat the cause to stop you from paining. The dentist in Merrick will also give immediate treatment to avoid possible tooth loss and to stop bleeding. If the patient suffers from a severe abscess, the emergency dentist may perform first aid or first stage treatment and will refer the case to the specialist or recommend you to an emergency room care.